A Heritage Stay with a modern touch. Make the abode of Jat Rulers your home. The heritage of Kuchesar, will offer you the 18th century lifestyle with a modern touch. Situated 80 kilometers away from Delhi and very near to Hapur, this Heritage of Kuchesar has been known for its hospitality since decades. All the visitors and guests were treated equally and with great care as they followed “ Atithi Devo Bhava” means “ Guests are God”. 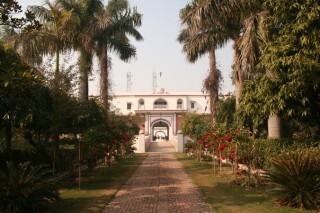 Being located amidst the picturesque surrounding and having the holy river of Ganges just 24 Kms away, It gives you the taste of exotic India; The Banks of Brijghat, invites you to have a leisure time with family picnics, outing among the sugarcanes and Mango orchids We aim to make your holidays a most pleasant and memorable one. So get ready for the unforgettable experience of the royal lineage. All guests must carry a valid photo identification card, without which room will not be given. Driver's dormitory with staff meals - Rs 600 Per day. 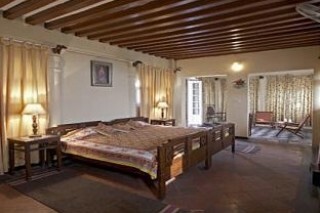 45 minutes drive from the Delhi International airport 30 minutes from domestic airport.